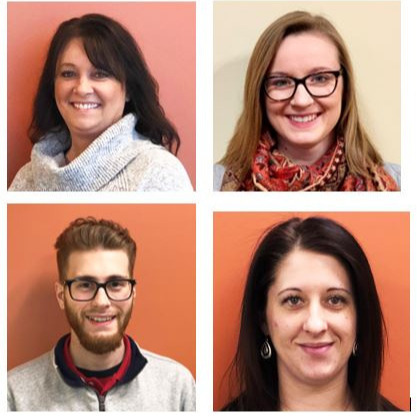 ORONO – University Credit Union (UCU) is pleased to announce the following manager promotions in Orono, Bangor and Portland. Susan Crawford, of Seboeis, Maine, was promoted to operations manager at UCU Headquarters, 15 Main Street in Orono. Crawford’s tenure with UCU spans over 15 years, having served in various roles across the credit union’s retail service, lending and call center areas. Crawford holds an associate degree in business management. Outside of the office, Crawford enjoys snowmobiling, four-wheeling, camping and boating with her family. Ariana Harris, of Greenbush, Maine, was promoted to branch manager at the 139 Rangeley Road location in Orono. Harris joined UCU in 2014, and has demonstrated excellent member service skills, a command of UCU policies and procedures, and a friendly, positive attitude in several member service roles, including most recently assistant branch manager at the same location. A graduate of Old Town High School, Harris is currently studying business management at Eastern Maine Community College. Outside of the office, Harris enjoys camping and being outdoors. Randy Manzo, of Brewer, Maine, was promoted to campus branch manager at the University of Maine, Memorial Union campus branch. Manzo joined UCU in 2017 as a Member Service Representative in Portland, and has used his upbeat, outgoing and energetic personality to deliver excellent member service. Manzo graduated from Brewer High School and attended Husson College, where he studied business science/administration. Madison Gray, of Windham, Maine, was promoted to branch manager at the 391 Forest Avenue location in Portland. Gray joined UCU in 2010 as a member service representative at 391 Forest Avenue and was later promoted to MSR supervisor and then most recently assistant branch manager. Gray’s member service skills are second to none; her friendly, knowledgeable approach to member service has enabled her to build relationships with members in the Portland area who know they can always depend on her for help. Gray is a graduate of Biddeford High School. As a three-time Best Places to Work in Maine honoree, UCU is proud to recognize the accomplishments of its dedicated employees and encourages interested candidates to visit ucu.maine.edu for information on career opportunities. Established on the University of Maine campus in 1967, University Credit Union (UCU) is an innovative, full-service financial institution with a mission to actively advance the financial well-being of our members in every stage of their lives. UCU is the seventh largest credit union in Maine in terms of total assets and the fifth largest in terms of total members. UCU has eight retail locations across the state serving University of Maine System students, employees, alumni and their families primarily. Branches are located in Orono, Bangor, Farmington, Gorham, Portland, and Presque Isle. For more information visit ucu.maine.edu.